It's officially the very last day of November today! I normally don't do a lot in November apart from celebrating Thanksgiving with loved ones, but this year definitely broke the mold. I did a ton of things with so many friends, and I love that. If every month were as fun as this one (minus friends moving back to their hometowns and getting sick multiple times), I would be all for it! The month kicked off with getting to see a second Jason Robert Brown show at Subculture, something I'd highly recommend you do if you like his musicals. I also got the chance to hang out with Gaby, Alyssa & Amy for a day up in Connecticut, filled with Book Barn bargains and delicious food. While Macky was away in San Francisco for a few days, I kept busy - a pre-birthday dinner for my cousin Clarissa at Taqueria with Jaymee and Mel, a girly sleepover at Jaymee's, another sleepover at Rachel's, and a day in West Chester with Rachel, Kelly & Betty, with book bargains and diner food to tide us over. I also got to cat sit the most lovable cat for my friends while they went off to London, and I celebrated a fun Friendsgiving with friends! 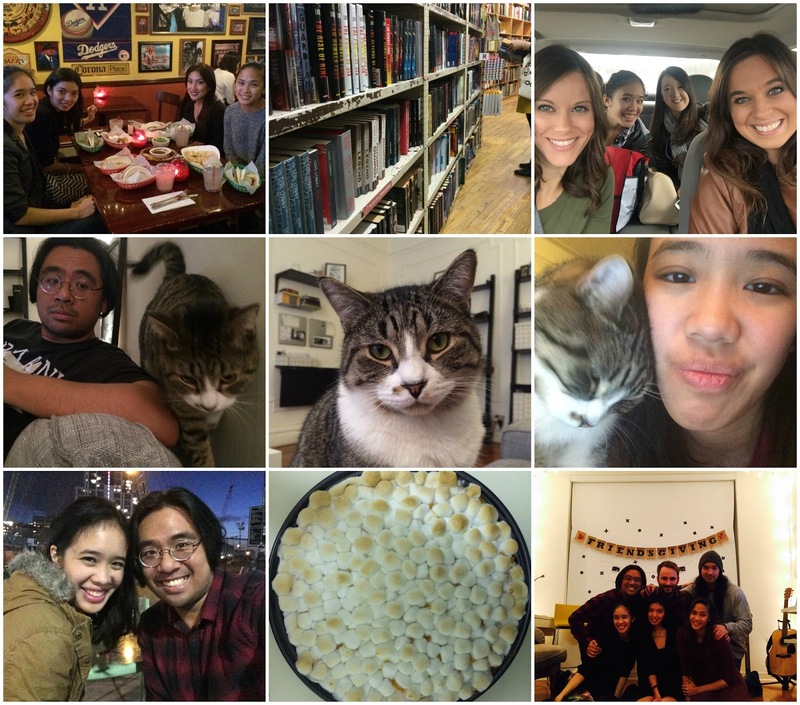 All in all, it was definitely a month filled with people & things that I loved to pieces. Reviews | I'll Find You Anywhere, Grey Sky, A Platonic Love, Abbreviations #17, Noise of a New Beginning, Brand New Gal, The Pleasures and Perils of Being a Hathaway, Quit Playing Games with My Heart, Flip a Coin, College Confessions, "Let's Carpe the Hell Out of This Diem. ", "Come to the Dark Side. We Have Pop-Tarts." We're nearly at the end of the year! But don't despair - there is still one whole month to achieve the reading goal you set for the Flights of Fantasy Reading Challenge. Rachel & I have loved hosting the challenge so much that we're doing it again next year, so look out for the 2016 sign-ups! Anyway, I managed to read two novels The Impostor Queen and Uprooted, both of which were pretty great. Only eight more books for me till I hit 50! Sounds like a great month! I'm in the middle of the audiobook version of Winter. Looks like you had a ton of fun this month. 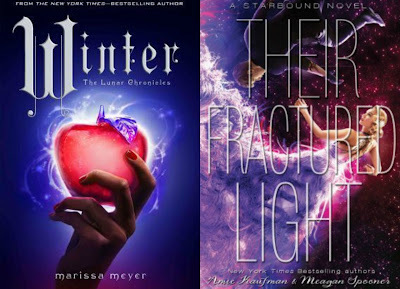 Winter was definitely one of my favs as well and I just started Their Fractured Light and can tell that I'm really going to enjoy it.